They are quickly becoming one and the same. Google places value on high quality content and ranks your site based on the experience visitors have with your content. Gone are the days of aggressive link building and over night SEO strategies. Instead marketers are encouraged to play a long-term game by creating resourceful pieces of content that will naturally attract attention from credible websites and social media networks. It’s no surprise to see a decline in search volume when it comes to link building and a continuing growth for content marketing. Content marketing is becoming more and more popular to build relationships with your audience, and if you don’t take action now and build a solid content marketing strategy your competition will get ahead. To stay ahead of the curve, it is essential to keep up to date with the latest content marketing trends. To make it easier for you, here are top 7 content marketing trends that will rule 2016. There is no one better than your customers themselves to create content for your business. It will be authentic, trust-worthy and appealing to your target audience (as they are your target audience). Plus, people naturally want to know about a product or service from the user’s perspective. The Guardian rightfully states that 70% of consumers place peer recommendations and reviews above professionally written content. And this is what happens with everyone, right? So, ask your customers to create content for you and display it on your site or in your store to gain the trust of more and more people. 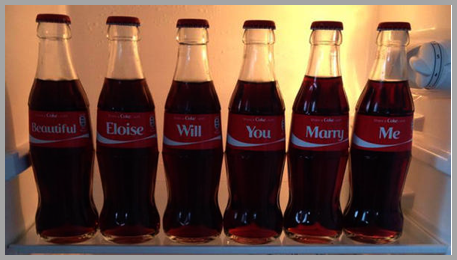 One great example of user-generated content is Coca-Cola’s “Share a Coke” campaign in which the company produced Coke bottles with customers’ names on the labels and handed them out throughout different cities. They asked the customers to share pictures of their personalized coke bottle on Twitter and other social media platforms. The company attributes the campaign to a 2% increase in US sales. “User generated content (UGC) allows you to collect, moderate and publish at scale from content collected and curated from brand advocates and fans.” – Jeff Bullas, world’s #1 Content Marketing Influencer, Social Media Marketing Strategist & Speaker. People are not mere spectators these days. They demand content in which they can get involved, without feeling targeted. They seek a visual story that’s powerful and out of the box. A blog published at TruConversion.com suggests to be mindful that your target audience is more likely to remember and react to great stories. By interactive storytelling I mean that you can present your content through or with images, videos, infographics, quizzes, calculators, assessments, generators, or graders. According to IMPACT Community Coordinator, Carolyn Edgecomb, storytelling is one of the best ways you can develop deeper connections with your target audience. Have a look at the video content made by New York Times T-Brand Studio. “There’s so much static content out there on the Web that it’s important for businesses to produce content that yields enough power and substance to capture the target audience’s interest right from the get-go. This is where interactive content provides an optimal solution to businesses, especially to small businesses. It is perhaps the best way to increase traffic and conversion among small businesses.” – Rahul Aggarwal, Founder – Designhill.com. Breaking your content into parts and organizing it over a time-period will keep your audience engaged. It builds anticipation as you create a narrative and give breaks in between. Episodic content has a long lasting impact on the reader’s mind which cannot be achieved by one piece of writing. If you are able to create suspense in your reader’s mind through the first episode of your content, they will most likely come back to watch or read it. An article on SEMrush explains how to take care of the timing of episodes with a long enough gap to ensure that your target audience actively seeks the next instalment. There are many examples of episodic content that you come across everyday but hardly notice. This technique never fails to generate curiosity about your brand. For instance, an example of episodic content is Serial. Serial changed the podcast game and produced a captivating story in weekly, hour-long segments. Every episode of Serial ended with the host leaving her audience with a cliffhanger, thus creating a desire to hear the next episode. “Thousands of people are, usually collaboratively, producing a lot of short-form, episodic fiction and hundreds of thousands more are reading it.” – Anna Rafferty, Director, Digital Marketing Strategies, Penguin. Simply creating content is not enough anymore. The challenge is to produce something that connects with your audience at an altogether different level. With so much content being produced every day, people are getting immune to even the best of it. Therefore, you need to add a flavor of personalization to your content in order to get the desired results. Wouldn’t it be great to have different content for different types of visitors? I mean, you can design your page in a way that visitors feel that the page speaks in their language. According to TruConversion, personalized content talks directly to your target audience and offers the exact solution he/she is looking for. And an article on Conversionxl.com states that content personalization makes money. Whenever you’re personalizing your content, make sure that everything in the content – whether it’s the font, words or the overall voice —speaks to your target market and resonates with them in the best way. So that when they look at it, it’s their experience, their voice, their taste they see. Also, don’t forget to ensure that content is laid out in a way that highlights your branding elements such as logo design, icons or symbols. This will make customers remember your brand along with their experience for a really long time. “The name of the game in 2016 is personalization. Marketers will have more opportunities than ever to deliver the exact content that people want when they want it.” – Shawn Fitzgerald, VP/Digital Marketing Group at Thomasnet. An article published on Designhill explains that social media has become increasingly popular amongst small businesses, who are using social media hacks to reach out to their customers and reinforce their brand. In fact, Social Media Examiner’s Industry Report 2015 reveals that 92% of marketers report that social media is important to their marketing mix. In 2016 too, more and more marketers will make use of social media platforms such as Facebook, Twitter, LinkedIn etc. for distributing their content. Thoroughly research the platforms where your target audience hang out and choose the right platforms. Facebook has almost 1.4 billion users and Twitter has 302 million active users. 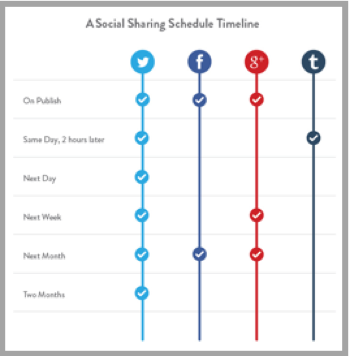 So, use these platforms to distribute content and increase your leads. Kissmetrics explains that you must define a good distribution schedule for each network and map it out in a simple timeline. “No longer can you rely on Facebook to provide free traffic to your website or blog. It’s become just another paid advertising channel. All social networks are now in this game and as social media has become just another media channel, that reality is not going away. You are going to need to adapt.” – Jeff Bullas, World’s #1 Marketing Influencer, Strategist & Speaker. CEO at Jeffbullas.com. 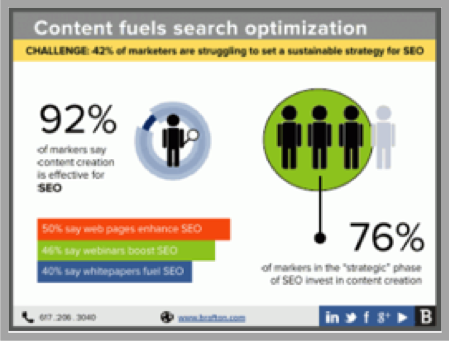 SEO and content marketing complement each other. Content marketing fulfils the demand created by SEO. The more unique and fresh the content is you create, the better it will be for your search rankings. Who doesn’t want to be on the first page of any search engine? An article published on Search Engine Land explains that being found in organic search results and attracting traffic to your site makes it possible to engage people and convert them into fans and customers. “Content is king, and it is expected to play an even bigger role in 2016 digital marketing. Content should be educational, entertaining or enriching, rather than a message centered around a direct sales pitch. A strong strategy of creative, personal, interesting content is eclipsing more traditional areas like SEO management and advertising.”– Ben Silverman, Marketing Writer for Brafton. 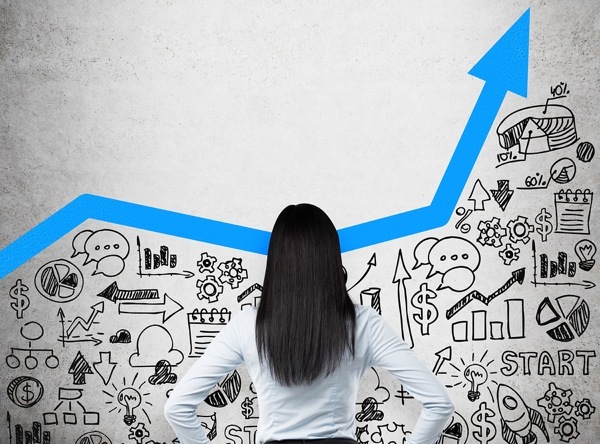 2016 will see a rise in the investments by marketers in content marketing. In the past, marketers did not see content marketing as something they could invest in. But as time goes on, content marketing has proven to be one of the most effective methods of driving website traffic. But it takes money to create effective interactive content to draw traffic, generate leads and increase conversions. Therefore, more and more marketers are willing to spend thousands of dollars on their content marketing efforts. 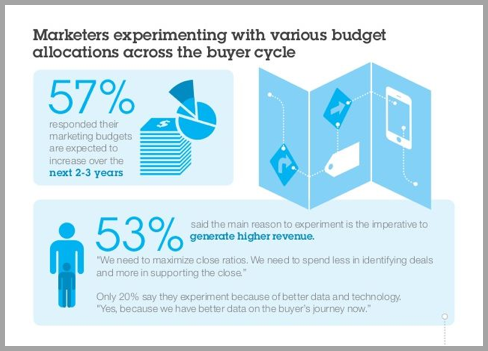 An article published on Hubspot notes that 71% of marketers are getting an increased content marketing budget. Plus, according to the Content Marketing Institute, 54% B2B marketers will increase their budget for content marketing significantly over the next 12 months. “I’d say that things are getting serious: content marketing is not yet a science but a proven methodology for it has emerged and gone are the days when you could simply rely on pure creativity and… luck. While content generation remains key, successful content marketers invest at least as much time and budget in the other parts of the content marketing cycle: planning, distribution as well as analyzing what works and doesn’t.” – Guillaume Decugis, CEO & Co-Founder at Scoop.it. With the beginning of a new year, marketers have already ramped up their content marketing strategies for 2016. It’s important for you as a marketer to keep up to date with the latest content marketing trends and stand out from the crowd. I hope that these content marketing trends will help you somehow in achieving new heights for your business in 2016. As always, please share your thoughts in the comments, if you enjoyed this post share it on twitter, and never hesitate to hit me up with any questions, critiques, or feedback. Guest Author: Saumya Raghav is a content marketer who works at Designhill, one of the world’s fastest-growing custom design crowdsourcing marketplace. A blogger, columnist, content marketing expert, editor, marketing instructor, and conversion scientist by day and a reader by night, he loves to write on topics related to digital marketing strategies, technical and international SEO, web analytics, startup and small business strategies, growth hack strategies, conversion optimization strategies, etc. You can engage with him on Twitter – @saumyaraghav, Facebook – and LinkedIn.